Holy wow, the past couple months have been pretty crazy around the Gavin household! Between buying a new house, painting the interior, coordinating contractors, hiring movers, packing, moving, unpacking in the midst of renovations, all while taking care of a baby, wrapping up the school year, and getting ready for a big trial at work, Maria and I have barely kept our heads on straight. 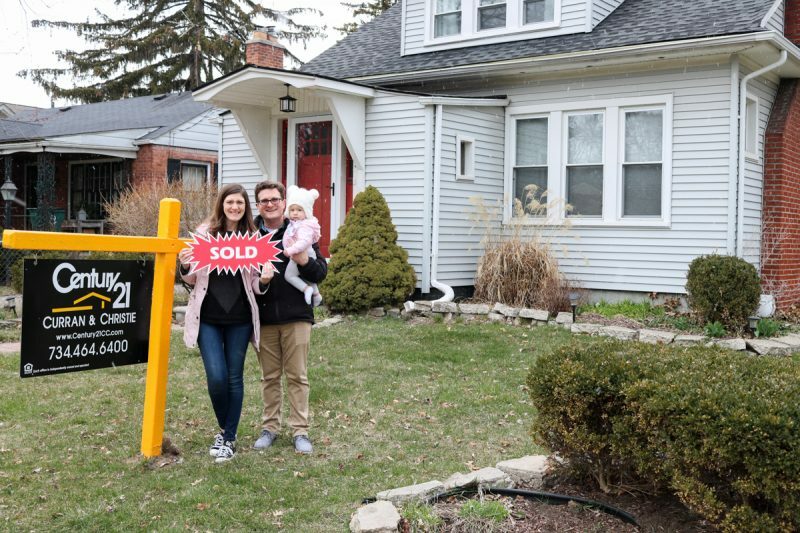 But now that life has calmed down, we're starting to get settled in, and this house is starting to feel more like home, we wanted to take some time and do what we always do during major life events: see how buying a house affected our finances. First time homebuyers often think that the purchase price of the home is the only expense, but there's always so much more to pay than just the downpayment and mortgage. 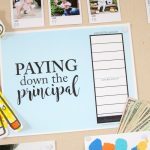 We didn't step into buying a house lightly and we made preparations to cover the mountain of expenses that are often overlooked when purchasing a home. 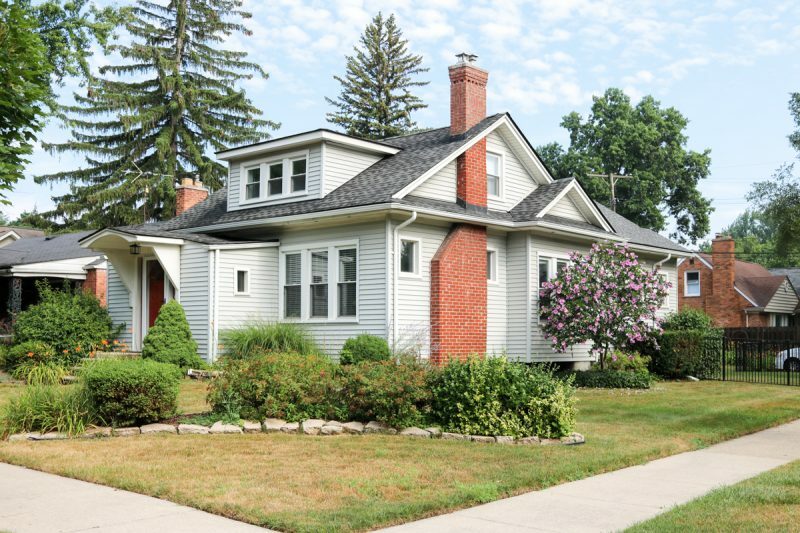 The first thing we knew we had to pay for: a home inspection. I highly, highly recommend that any home buyer hire a professional to inspect the house you want to buy. You usually have a few days after signing your purchase agreement to have the house inspected. Ask around for a reputable inspection company. The inspector will check out all sorts of common problems in a house: such as looking for leaks, checking that the appliances all work, inspecting the integrity of the rooms and foundation … the list goes on and on. And, if the house is in worse shape than you realized, you have a few days after an inspection to back out of the purchase. In addition to a home inspection, we also paid for a sewer inspection. Our house was built in 1925 and collapsed old sewer lines are somewhat common for the older homes in our neighborhood. After the home inspection was the house purchase itself, which came in several stages. First, we had to put down an earnest money deposit of a few thousand dollars along with the purchase agreement. Then, once we got to closing, we had to bring our downpayment, along with a whole host of other fees and charges, such as title insurance, real property taxes, and so on. This gets all calculated in your closing paperwork and your mortgage broker will tell you how big of a check you need to bring to closing to cover all of it. We put 60% down and man, that sure was a big check; it's a little hard to part with that much money. And once we actually owned the house, there were all the repairs and renovations we wanted to do. We'll be writing about many of those in the future, but there was a wide range of projects. From minor things like repairs to cabinet doors, installing shelves in closets, and adding numerous light switches and electrical outlets; to bigger things like fixing several electrical safety issues, replacing a bunch of gutters and rotten wood, painting, and putting up a few new walls. All of that costs money, even if you're doing it yourself. We handled most of the painting ourselves, but hired contractors for pretty much everything else. Maria and I are willing to do many things, but we simply don't have the time to learn extensive DIY projects. While all the renovations were going on, we moved in and paid for movers to haul all of our stuff over to the new house. Even though we were only moving a few blocks, we still ended up spending a fair chunk of change on those guys. It was worth every penny, though. Now, I need to point out that we weren't just throwing money around without a care in the world. I mean, this is Maria and Rob here. We knew how much money we had to spend, we set a budget, and we stuck to it. Maria and I made sure that all the absolutely necessary expenses (home inspection, and movers) were paid for. Whatever we had leftover we planned to use for repair and renovation projects and new furniture. We prioritized our projects and furniture, and went to work. And guess what? We ran out of money! Our initial plan was to spend half of our remaining home savings on renovations and half on new furniture for the house. Once the workers arrived, the home improvement list kept expanding and consuming more and more of our budget. We had a few unexpected surprises that absolutely needed to be taken care of – like discovering that the main wiring to the house wasn't grounded. Other unexpected projects occurred to us after we had moved in and just made sense to take care of while we our house was already a chaotic mess. A perfect example of an expensive project that fell into this category was building a half-wall at the top of our second stairwell. Before the wall was built, there was basically just an opening in the floor for the stairs. Rob and I use those stairs several times a day and it just made good sense to build the half wall to prevent any accidents. As the projects continued through three long weeks in the Gavin house, we quickly drained the rest of our house savings. 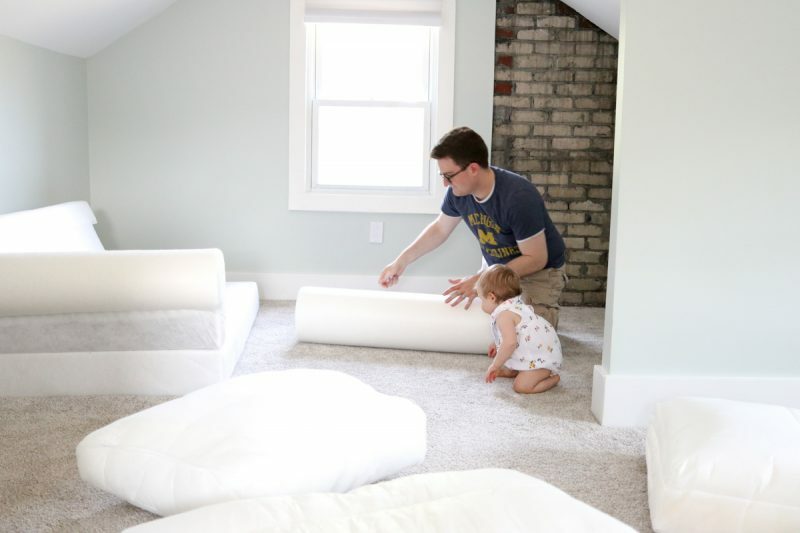 We had enough left to purchase a few new pieces of furniture and accessories – most notably our new bed and a loveseat for the second floor living and play area. But the rest of our unnecessary expenses (like that custom closet installation) will have to wait. We did our most important projects first and bought a couple pieces of new furniture. But once we ran out of money, we stopped. We'll (hopefully) get to the other projects we want to do eventually (one of our favorite ways to unwind at the end of the day is to talk about future projects on the house), but we have to save up for them first. In addition to all the money we spent during the purchase, move, and renovations, we needed to take a hard look at our budget going forward. We live on less money than we make and our plan for any surplus income in our budget over the past few years has consistently been to save up for our forever home. 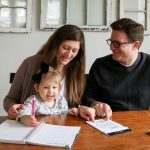 Now that we have actually purchased a house, we needed to review our finances and decide what, if anything, we wanted to change. So, one evening, Maria and I sat down with some pen and paper and worked out what we would do with our surplus every month. The first and most obvious change we had to discuss was the monthly mortgage payment. Our mortgage is a fifteen year mortgage with an escrow account that pays our property taxes and our homeowner's insurance for us. Even with that extra payment for the escrow, our monthly mortgage payment was actually $300 LESS than our monthly rental payment for the old house. So what are we doing with that extra money? If you guessed “paying it to the mortgage anyway,” you guessed right! By paying that much extra money per month toward our mortgage principal, we will shave almost 6 years off of our mortgage and save $15,000 in interest. We were already used to paying the higher amount, so why not keep paying it and turn our 15 year mortgage into a 9 year mortgage? 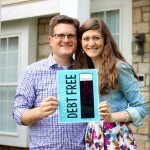 We went debt-free a few years ago and can't wait to dump this new debt as fast as possible. Since the mortgage wasn't going to have any new impact on our finances, we had to decide what to do with all the surplus income that we had previously been stashing into savings for the downpayment. Maria and I discussed a lot of options. The first thought we had was that we could throw all that money at the mortgage and pay it off even faster. But the more we talked, the more we realized there were other things we wanted to save for, too. So after playing around with the numbers for a while, we decided to break up that money into a few different sinking funds. 20% goes to our mortgage. We still do want to pay that sucker off faster. 16% goes to our home repairs sinking fund. Let's face it: things break and need fixing. We want to have money set aside so we can repair or replace whatever breaks when it happens. 14% goes to our furniture and decor sinking fund. Maria is patiently waiting for this to build back up so we can eventually purchase new furniture and accessories for the living and dining rooms. 10% goes to our retirement savings. This is on top of the 15% of our monthly income that we are already saving for retirement. 10% goes to Dessa's college savings. 5% goes to Dessa's wedding savings. Just in case you're more of a visual person, we broke all of those figures down into a pie graph. 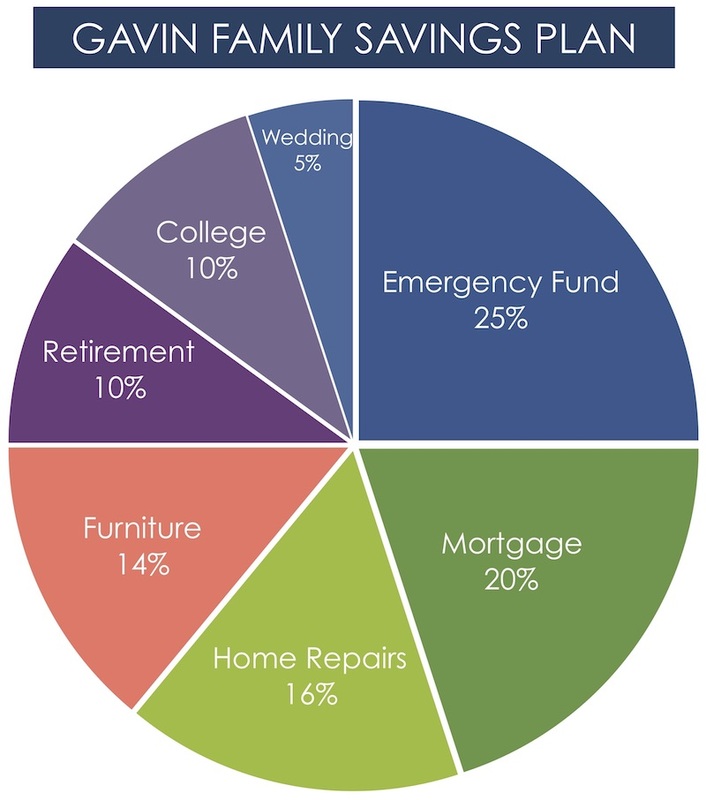 These percentages are not set in stone and we fully intend to review and revise our saving plan once our emergency fund is fully funded with the equivalent of 6 months of expenses. For now, this plan directs us towards our current goals on Dave's Baby Steps: having a fully-funded emergency fund of 6 months of expenses, saving for retirement, paying off the house early, and saving for Dessa's college. It's no surprise that purchasing a house had a major impact on our short and long term budget and financial goals. But making a significant purchase didn't necessarily have a negative impact on our family finances. In the end, it all comes down to the budget, setting hard limits, sticking to our goals, and having patience – especially when it is so tempting to fix, rebuild, and refurnish everything all at once. We will be debt free again (hopefully much sooner than 15 years from now). In the meantime, we are following Dave Ramsey's Baby Steps toward financial freedom while we enjoy owning a home that we can afford and absolutely love. A few months ago, we shared a glimpse into the house before we moved in. If you follow us on Instagram, you've been treated to lots of behind-the-scenes peeks at the house now that we're settled in. We promise to share an updated tour soon! Way to go! Love how you’re redirecting your extra cash. Do you keep all these sinking funds in one savings account or does each have their own account? Haha! We were actually just laughing about that ourselves. We honestly can’t remember why we chose that. Probably because we wanted to slightly prioritize repairs over furniture. We might change that, though. That was before we decided to spend almost all our budget on repairs and very little on new furniture. Way to go! You have inspired my family to get on the Dave Ramsey path as well. You two are an inspiration! Thanks, Bridgette! We’re so happy to hear that you are getting your finances in order the Dave Ramsey way. We think everyone should and it’s super nice to not have to worry about debt once you do the hard work to pay it off. Good luck! Why are you saving that much for “Dessa’s Wedding”?! It seems so frivolous to waste 5% of your budget (for years or decades presumably) on a one-time party. Given your commitment to being debt free and making smart financial decision, that seems really out of character. I wouldn’t make it a priority and am actually surprised that’s even a line item you are thinking about. Rolling that 5% into your retirement and her college fund would be much better long term. Xtina, I think you and I are on different pages and the fault might be mine for not being a better writer. We are not saving 5% of our entire budget for Dessa’s wedding. We are saving 5% of some of our surplus money (money which otherwise would have gone to saving for a house) for Dessa’s wedding. We are going to have to pay for a wedding eventually (we hope), and saving for it is better than the alternative, which is borrowing for it. We are already saving between 15% and 20% for our retirement and are saving as much as we can for Dessa’s college education. Good for you for saving that much for retirement. Thanks for clarifying that this is from your surplus, but still, I think the college savings are more important than wedding savings. For the sake of discussion, let’s say a year at a public university right now is 10K/yr and a private college is 50K/yr. (Ignoring room and board, and obvious inflation because she’s a baby :) ) That 10% of your surplus would need to cover 40K – 200K, or as much of that as possible since you don’t want to leave her with loans. Compared to that hefty bill, I just can’t seem to justify 5% for “wedding costs”. It’s Maria and Rob’s money, and if they want to save a little for their daughter’s wedding, that’s their prerogative. They’ve already explained that they’re saving for college too. Just because it’s not what you would do with your money doesn’t make it wrong. Thanks for sharing your methods!! 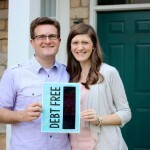 This blog is what introduced us to Dave Ramsey, and we became debt free a few years ago. Now, we are living in a small condo and furiously saving for our own down payment. Appreciate the openness in regards to your finances. Great for you guys, Jessie! We’re so happy you’re living the debt free life and working so hard for the down payment. It’s hard work, but it is totally worth it. Congrats on buying your first home!! Thanks for sharing your experiences on finances in regards to early homeownership! Your advice is solid. We bought our first home a few years ago, and we experienced many of the same financial issues that you have during the first 6-12 months. We prioritized things we needed to buy and repairs that needed to be done (it’s crazy how much stuff pops up, even now! ), and we constantly revised our monthly budget to make sure we could handle the necessities and still save enough for emergencies. We still revise our budget every 6-12 months to make sure we’re on track. We’ve now been able to save up enough money to decorate and furnish the more non-essential rooms (office, guest room) to our liking, and this summer we finally got to some BIG projects that have been on our minds since we moved in. It’s so tempting to do everything when you first move in, but it really was worth waiting and saving to get these things done once we were sure we could afford it. Now we can enjoy the fruits of our labor (and savings) without any guilt over the budget!